Have you ever made plans and been very particular about how you want them to turn out? For example, planning birthday celebrations for a loved one; you rent a place to hold a party, order food, buy decorations, invite guests, and make yourself busier than you ever have been? Many times the family member in question would not care about little details, as long as they can see the thoughtfulness you put into honoring them and wanting to celebrate, but it means a lot to you! You want everything to be just right- yet how often does that happen? Usually there are at least a couple mix-ups or other problems that make the reality not quite what we had pictured in our heads. The decorations are not the right color, or several invited guests cannot make it, or the food is cold; it’s always something, right? The good thing is, in this life, most of the time the little details do not matter much. Oh, we might get caught up into thinking that they do, but that is what the Lord told us to avoid; He said to not worry about day-to-day things and instead seek first the kingdom of God and His righteousness. Yes, in this life, we thankfully do not have to sweat the small stuff and worry about anything being perfect. Because we know that in this physical existence nothing is or ever will be perfect. As a result we ought to have patience and be flexible, adapting to change- so long as that change has only to do with the physical and not the spiritual, not the gospel. So what if our friends are running an hour behind schedule? It is not the end of the world. A name misspelled has not, to my knowledge, ever killed anyone. Understand that building things, events, and even people up in our minds to some unrealistic standard will only hurt us in the end. Know that God tells us that time & chance happen to all, and that no one knows what the future holds. Make plans, sure, but do not be surprised (and certainly not upset) if those plans change or end up not happening at all. All of that being said, there is one thing that we can look at which did, by its very nature, HAVE to be PERFECT, and that is the life of Jesus the Christ. What I mean by that is this: Jesus, who He is, what His life on Earth was, how it happened, how He died, everything, had to happen just so. It all had to be a certain way, and it was. Let’s explain in detail. First of all, Jesus had to be born. I seriously doubt that anyone would debate that for any real length of time. Yes, He had to be born, but not just any birth: He had to be born of a virgin (Isa. 7:14, “Therefore the Lord Himself will give you a sign. Behold, the virgin shall conceive and bear a son, and shall call His name Immanuel.”) Jesus had to also be born in Bethlehem (Micah 5:2) during the time of the Roman Empire (Daniel 2:40-44). We could go on and on, but you get the picture. These points regarding just His miraculous birth also apply to the rest of His life and His death and His resurrection as well, in that it had to fulfill all prophecy concerning the Christ. If Jesus had been born, lived, died, and even rose from the dead, fulfilling just some or most of the Old Testament prophecies, then none of it would have mattered. Secondly, we must mention the manner of Jesus’ life on Earth. There certainly is a lot that can be said: He came from a lowly birth, was said to be nothing special to look at, and lived humbly as a servant. Yes, His life is the ultimate example of serving others. But what is the one thing that is pointed out above all others regarding the life of Jesus? The fact that He was perfect, that He was innocent, without sin (Heb. 4:15). What if this “little detail” was off? What if Jesus was miraculously born, lived a life of service, died, rose again, and ascended into Heaven, only He was guilty of a sin or two? I submit to you that none of it would have mattered. His life HAD to be perfect because His death HAD to be perfect. If He sinned, how would He have been any different from you or I? Now we might say, “What about His death?” Did Jesus HAVE to die? Well, yes, clearly He did; He prayed to the Father that there might be some other way, but the Father said no. It was established that there must be a perfect sacrifice to take away the sins of the world. Furthermore, it was established as to what kind of death He would have to endure (Gal. 3:13). Again, speculating, what if that changed? 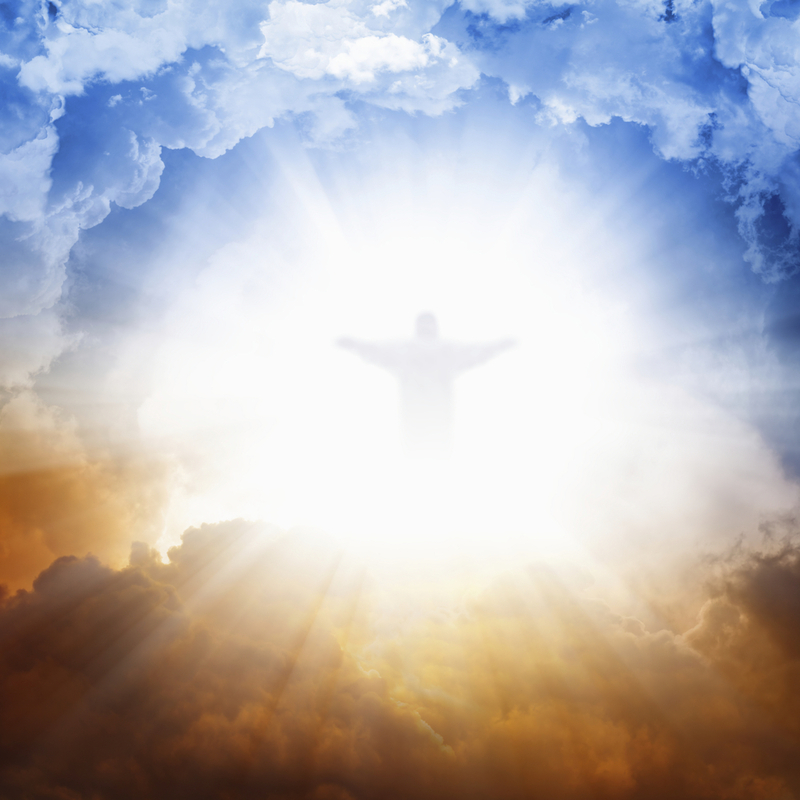 What if Jesus was born, lived without any sin, but after so long just ascended back into Heaven without dying? Then in that case He would not be our Savior. Is it any wonder He commanded us to remember His death (Luke 22:19-20)? Of course we know that things did not end with Jesus dying on the cross; He rose again on the third day. But- and stay with me here- what if He hadn’t? So Jesus was not raised from the dead, He still freely offered Himself as the perfect sacrifice for sins, right? Wrong. If He had died, even being without sin, and not risen again, His death would not be special at all. Understand that individuals die without sin all the time; I speak of course about young children. No, it was not enough for Jesus to die. He had to be risen, as He promised, on the third day. And even His resurrection had to be just so- it had to be bodily, not just a spirit, AND He had to rise to never die again. If Jesus rose from the dead, and then lived on a normal life to one day later naturally die, He would be no different from the widow’s son (1 Kings 17:22-23) or Lazarus (John 11:43-44). So beyond His birth, more than His life, and in addition to His death, Jesus had to never die again; He had to ascend into Heaven. What if He had not? What if He had risen and remained on Earth? Well, for one, that would make Him a liar; He said His kingdom is not of this world (John 18:36). No, He had to go back into Heaven, promising that He will one day come again to claim His own. I say all of this to make what point, you might be wondering. Simply: we cannot pick and choose. It all had to happen, exactly the way it did, for very good reason. We cannot say that His death is more important than His life, or his birth any more significant than His ascension. Everything about Jesus had to be (and was, and is) PERFECT. God knew what He was doing when He designed the scheme of redemption. Know that so much of what we plan will never be perfect or turn out exactly as we want it to, but with God, His plan is perfect. It all came together just as it needed to. Thanks be to God for such a Savior!